DocLogix 2016 is already here! As the summer is coming to an end, let us present this year’s harvest – the new version of DocLogix – DocLogix 2016. This updated system features a number of improvements and new functions which will make the operations of your organisation even more efficient. We understand the value of electronic mail in an organisation; therefore, we are glad to announce that the world’s most popular e-signature for the PDF format is already a feature of the DocLogix 2016 system. From now on, you will no longer need additional software to sign PDF documents, and can instead do this in a quick and simple way, right in the DocLogix system. “The PDF electronic signature format is rapidly becoming a popular feature, and will probably eliminate the technological frontiers between countries that have existed until now. Already, the PDF signature is recognised throughout the entire European Union. That makes this DocLogix 2016 function particularly relevant to our clients who are working in the international market,” – stated Tomas Masiulis, Product Owner at DocLogix. 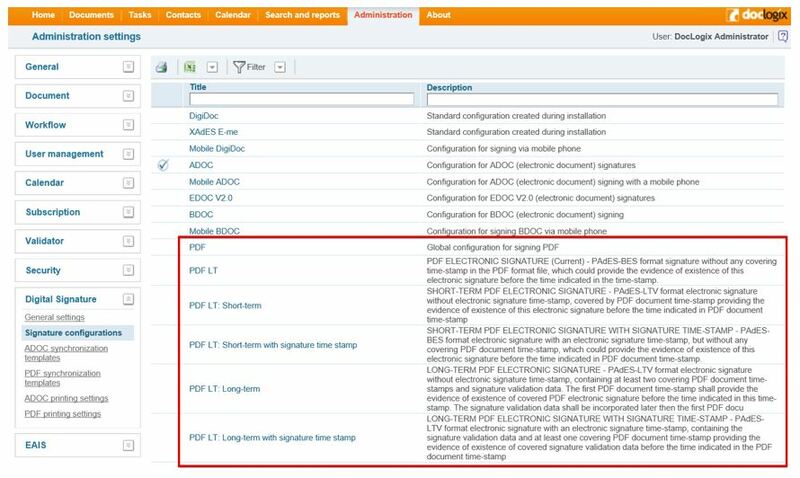 No special tools are required for the management of documents signed with PDF e-signatures – all that is needed is a computer provided with the Adobe Acrobat program. 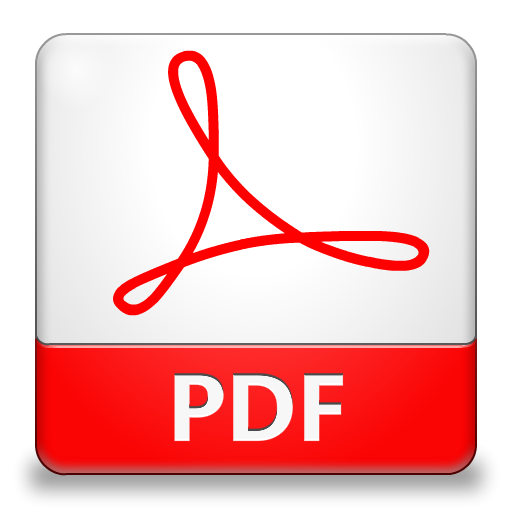 PDF files can be opened by browsers, data warehouses, CRM systems, etc. All contemporary word processing software will allow you to save documents in a PDF format. If you have drawn up a contract in a Microsoft Word file, it must be converted to the PDF format before signing. This European e-signature format is supported by the international ETSI Standard, which is recognised in most countries around the world. The possibility to determine in advance which electronic signature will be used on which documents. All e-signature formats previously supported by the DocLogix system (ADOC, BDOC, EDOC) will still be available to use. There is no fuss, and you do not need to worry about which signature must be used to sign a particular document. Depending on the type of document, or its future life cycle (whether it will be used outside the system, transferred to a national authority, saved for 50 years or only 3, etc. ), your system administrator will pre-program the type of signature to be used. All you will need to do is hit the “Sign” button. Additional signatures. Just like using your regular “real” signature, the same e-document can be signed by several people. You will also be able to sign metadata. Adding time stamps. Timestamping is integrated into the signing process. Depending on the signature’s level, the DocLogix system will place an appropriate time stamp on the document or signature. E-signature validation. PDF e-signatures are very easy to review and verify. When you receive a document with a PDF signature, you will not have to use any special systems or software to view the document, or to verify its validity and correctness. This can all be done simply by using the Adobe Acrobat Reader in your computer. Verification of the signature’s validity can also be carried out within the DocLogix system, without the use of Adobe Acrobat, and DocLogix will perform the recognition of the signature and identify all errors (e.g., if a time stamp is missing). Multiple signatures. Do you want to place a PDF signature on several documents at once? Just like before, simply mark the documents you need to sign and hit the “Sign” button. The DocLogix system will then launch a signing process that includes all of the documents you have selected. This function is available when signing with the ID card certificate, and will save you tons of time. Automatic signing of PDF documents with an unqualified e-signature. This function is especially important when using automatic document processes. For example, it can be used in order to register the receipt of documents and to automatically sign registration metadata. An e-signature function linked with document confirmation tasks or procedural actions. Your DocLogix system administrator, or another person responsible for digitising your system processes, can set the types of tasks or documents that require an electronic signature. From now on, you no longer need to separately mark when and who must sign a document, as the system will ask for the user’s voluntary affirmation using a PDF signature. Detailed review of the signatory information. If you need to know who has signed a document, you do not need to open it and search for this information. The system can configure a list with detailed information of all the signatories. In the new version of DocLogix, we have focused our attention on improving the features of the DocLogix calendar, where one of the most universal calendar applications is the recording of your employee’s work hours. 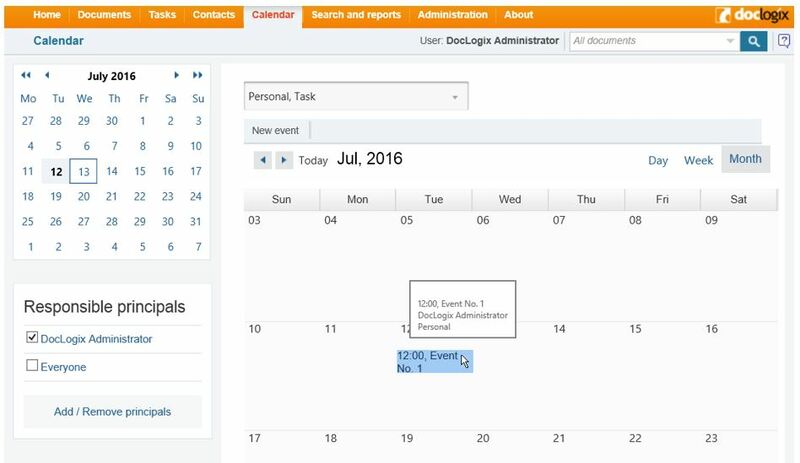 The DocLogix calendar will significantly reduce the workload of your personnel management department, because your employees are now able to enter their hours THEMSELVES. The personnel department can instantly see who was at work and for how many hours, as well as who was ill and who was on a business trip. Furthermore, once the employees have entered their data into the calendar, any further modifications must be approved by their supervisor. 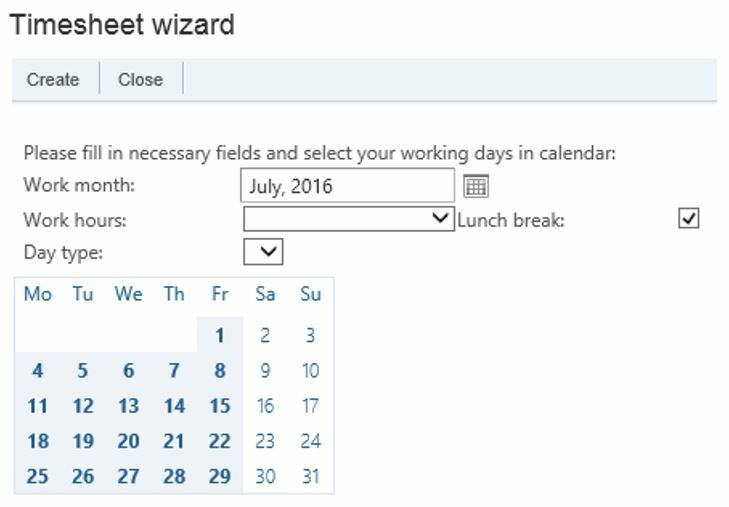 This means that timesheets and work hour logs can now be generated in a much simpler and quicker manner. 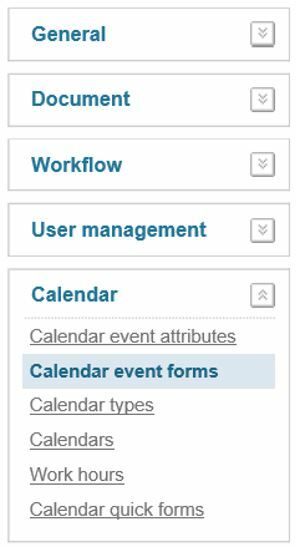 This is just one of the many features available in the DocLogix calendar. It is an irreplaceable assistant for managing reservations of vehicles, meeting rooms or other internal resources, as well as scheduled machinery inspections, and for accounting and monitoring employee holiday leave dates, etc. mark different events using different colours, in order to visually distinguish them. Are you burning with impatience to begin using the DocLogix calendar? Contact your organisation’s DocLogix administrator to add these functions and to set the relevant parameters pursuant to the renewed DocLogix 2016 Administrator’s Manual. DocLogix often becomes our clients’ central system, which stores all of the documents and information that pertains to the company’s operations. Therefore, in our updated system version we have introduced super easy importing of information from third systems or other devices. From now on, uploading documents from e-mails, scanners, ERPs or any other system to the central DocLogix document management system is easy, and documents can be automatically imported from any Windows folder that is accessible to the system. Automatic uploading of scanned documents into the DocLogix system. Do you still receive a lot of hard copy documents, which must be scanned and then uploaded to the DocLogix system for further processing? By combining these two steps – scanning your documents and using the automatic upload function in the DocLogix system – this can now be done with very little effort. Updating information from the other organisation systems. If a client uses hot files, the system will verify whether the previously received documents have been updated. 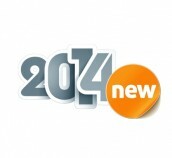 Furthermore, if an update is available, DocLogix will identify it and will automatically update the information. 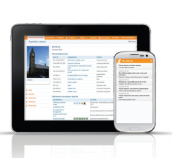 Automatic uploading of documents created by “mobile employees” and process activations. Do you work in a company where managers, brokers, project managers or foremen often work remotely and create orders, contracts and purchase orders on the go? Here’s some good news! From now on, the DocLogix system can “pick up” their work results directly (including photos of certificates with the clients’ signatures, new POs, contract drafts, etc.). By using the hot folder functions offered by DocLogix, you can choose to automatically transfer documents from third sources into the DocLogix system and to sign their metadata. All you need to do is to save your documents in a shared folder, using client software such as MS Office, Outlook or Windows Explorer. Everything else is done by the system – it will upload the document, create a description card, attribute the initial security settings and save the document. If you want the documents to be automatically sent to different files, you will need to create several folders. Do you want to monitor the events occurring in the DocLogix system? Do you need to know how many documents have been confirmed, sent and received? Are you interested in knowing about your company’s constantly changing indicators? From now on we offer the possibility to subscribe to reports on the operations carried out within the DocLogix system. This function is especially handy for the personnel department and for department managers who must monitor the productivity of their staff (e.g., how many contracts with clients did Employee X conclude per week, how many holiday request forms were received, etc.). You will need SQL and HTML data for the generation of the report forms, according to your selected data acquisition layers. You can find such unified forms in the Help tab of the DocLogix system. With the help of these two items, you will be able to create a form of your choice, which will be sent regularly to you via e-mail. Successful entrepreneurs will confirm that the road to success is impossible without effective information management. What is the major source of accumulated information? Of course, it is your e-mail inbox. The new version of the DocLogix system offers a more convenient method of processing your e-mail. Filtering and searching is now also easier, because all of the messages are linked via the contact information to all documents available in the system. The use of automatic message importing from the indicated inboxes will enable you to upload the sender’s e-mail address, create contact cards or link the message with another contact in your existing contact base. We have noticed that sometimes the advanced search function in DocLogix, which is available through the Search and Reports tab, is too complicated for common users – therefore, we have optimised this function. From now on, you can find every document in a quicker and easier way, because the search will include only the types of documents you indicate, instead of searching through the entire system. 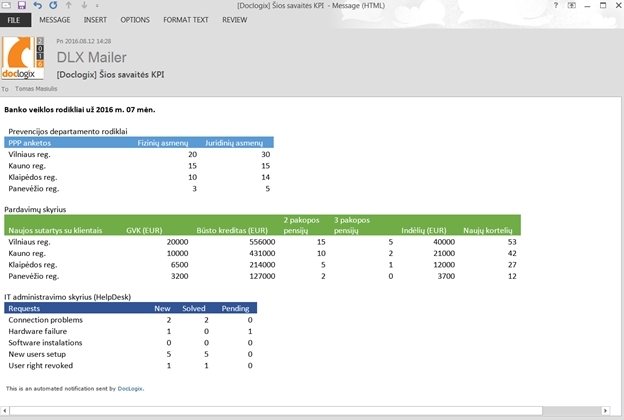 We have simplified the advanced search window, which can be configured by the system administrator to meet your needs. The window can display only the fields used for the creation of a card for a particular type of document. 1. Automatic data filling. Managers of companies and organisations have the daily task of writing and appointing resolutions/tasks for their subordinates. They often have to fill in the same instructions repeatedly: to be examined, rejected, executed, etc. In the new DocLogix system, they only need to enter these instructions once, and they can later simply be selected from a list, making the process much faster and more convenient. Furthermore, a new automated step takes over the filling in of other recurring data, or information that can be filled out automatically. It often occurs that information is repeated, which depends strictly on the existing data and the stage of a process. With this new function, you only need to indicate when and what has to be filled in, allowing you to save time and eliminate human errors. 2. Smarter processes. Normally, processes are automatically activated after the creation of a document. Now, the system will also instantly activate the process if any data in the existing document has been corrected. This comes in especially handy when the beginning of a process is directly dependent on the document data. 3. Automatic saving of changes. After editing a document (e.g., an invoice line), there is no longer a need to additionally save the main document. As a result, you do not need to worry whether all of your corrections have been saved in the system, as DocLogix will do this for you. 4. Expanded verification of unique attributes. You will no longer find yourself in a situation where, after entering large volumes of information into a document card and trying to save it, you end up finding that such a document already exists. You will now receive such information immediately, and the DocLogix system will begin its verification as soon as the first document information is entered. Your system administrator can change the settings according to the document types and the information to be entered, which will then be used by the DocLogix system as the fields to be verified for repeatedly entered data. 5. Expanded document duplication function. In order to optimise the work of your administrators, we hereby present the DocLogix document duplication function. Now, you can simultaneously copy any required document, change its type, and transfer it to a different document storage place. The DocLogix terminology understands a document not only in its customary sense, but also as a description card that includes various possible pieces of information (data, sender, responsible persons, document number, amount, and many other items). This could include a great number of information fields, and the administrator is the one who has the difficult task of creating a description template for each new type of document, determining the fields to be filled out by the users, and setting the security parameters (the authorisation to view the document). 6. Improved display of numeric values in documents. From now on, the numerical displays will correspond to the standard numeric forms used in your country (i.e., the use of decimals and thousand separators). 7. Downloading documents directly from the DocLogix system. The new DocLogix 2016 allows for the downloading of any document from the system with a single click. We know that you enjoy having a choice, and we have continued to improve the accessibility of the DocLogix system via different browsers. Now, you can modify your files even if you prefer to use the system via Internet Explorer. If you are using an Apple device, we recommend connecting to the DocLogix system via Google Chrome. The DocLogix product has existed for 13 years, and during this time we have concentrated on polishing our system code and on error corrections. Through this process, we have corrected a great number of errors which stood in the way of smoother operations. Now the system works even faster and with even more precision! Do you want to update your system today? Contact your company’s DocLogix consultant!